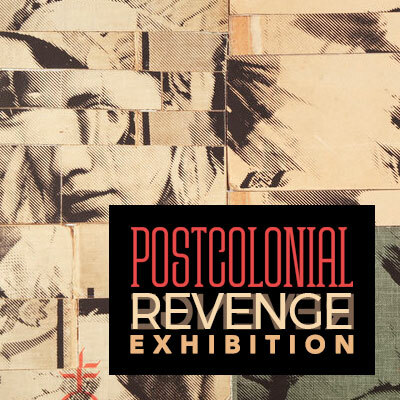 Postcolonial Revenge is an exhibition that centers rage, justice and collective healing from intergenerational traumas. This exhibition investigates how rage can shape hope, inform action, and build intergenerational resistance. Revenge is defined as the “satisfaction obtained by repaying an injury or wrong” or “an opportunity for retaliation; a chance to win after an earlier defeat.” The field of Postcolonial studies emerged as a way to bring forward voices and T/truths that were hidden from master narratives. Postcolonial studies have allowed us to see that Western empires built their foundations on the labor, exploitation, and stealing of resources from what are now known as Third-World countries. Today, many communities that are labeled “marginal” in the U.S. are here because of the infliction of violence by Western powers. However, that is not to say that communities that were faced with dispossession or forced to leave their homelands have given in to colonial forces. Postcolonial Revenge is an opportunity to come together to celebrate the win of not giving into a system that enacts injury and violence onto black, brown, indigenous, immigrant, queer, and working-class livelihoods. Postcolonial Revenge centers resistance, resilience and resurgence against Western epistemological beliefs. Indigenous, Black, Chicanx, Filipinx, South East/Asian, and Middle Eastern voices are among those that have pushed against Western settler-colonial ideas which center hetero-patriarchal ideals in an attempt to eradicate culture, language, and ancestral lineage. The works in this show will highlight inter-generational voices that continue to work against settler-colonial oppressive structures pre and post-civil rights. Post-Colonial Revenge will interweave works that deal with resurgence, rage, justice, ancestors and collective healing from inter-generational trauma. The exhibition chooses to highlight these themes, so they can serve as a departure to create a new center, away from colonial structures which sought to destroy us. 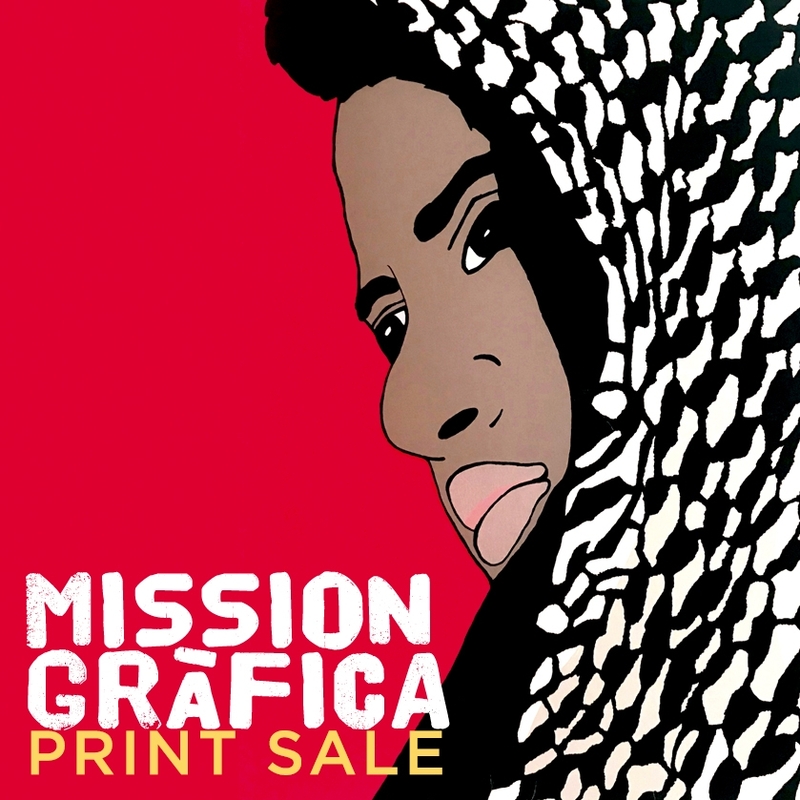 For forty years, Mission Gráfica Printmaking Studio has proven itself to be a creative haven for individuals to explore the practices of printmaking in a community-based and affordable studio space that stands out as one of the last grassroots art spaces in San Francisco. The prints on view in the Inti-Raymi Gallery reflect the community’s desire for social and economic justice on such issues as immigration, displacement, and Third World freedom struggles. Through forgotten objects, this exhibition tells us a story where philosophers, artists and social situations converge and emerge. Curated by Victor Navarrete, with paintings by Martin Revolo and Antonio Tovar. 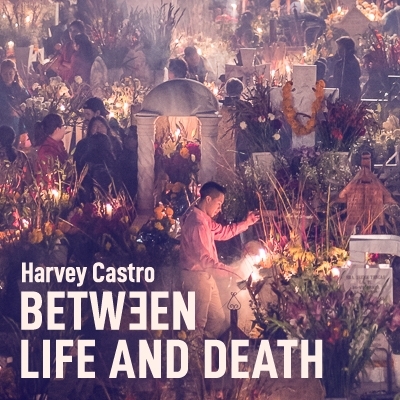 Between Life and Death: Day of the Dead is a photo exhibition by Harvey Castro that brings the focus back to the people that live the traditions of Dia de Muertos (Day of the Dead). In this ongoing project, Harvey Castro visits and documents how people in different regions of Mexico celebrate this special tradition with their families and community as a whole. 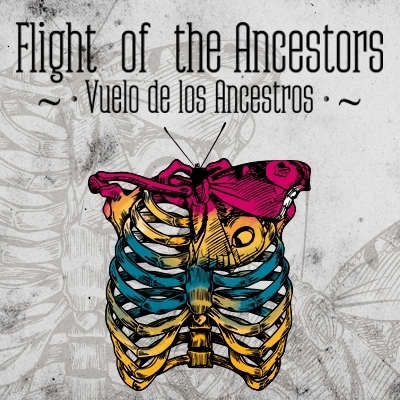 Flight of the Ancestors • Vuelo de los ancestros is the 32nd Annual Day of the Dead exhibition hosted by Mission Cultural Center for Latino Arts. The creativity of artists, teachers, artisans, and overall community members has contributed to Day of the Dead evolving into our most iconic exhibit of the year. We carry this tradition forward by welcoming people to express personal, political, and spiritual contemplations of life and death. This year, we have asked people to use butterflies or moths as a metaphor that showcases death as an integral part of the cycle of life. 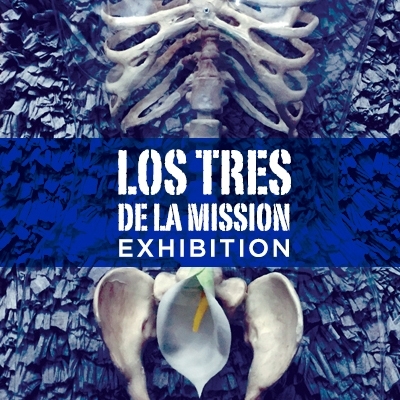 Flight of the Ancestors • Vuelo de los ancestros is comprised of 16 artists who showcase a unique multidisciplinary Day of the Dead exhibit that fuses tradition with contemporary installations. MCCLA dedicates Flight of the Ancestors • Vuelo de los ancestros to René Yañez, who played a pivotal role in establishing the celebration of Day of the Dead in San Francisco. For many years René curated "Rooms of the Dead" exhibit at MCCLA for the community to use as a platform that addressed political issues that inflict death towards our communities. • Mission Economic Dev Assoc. We open our doors to anyone interested in joining us with related events that are in conjunction with the Flight of the Ancestors exhibit. 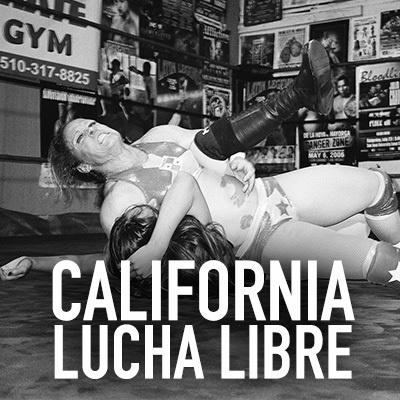 "California Lucha Libre" are 13 photographs from a larger documentary photo essay Amelia Berumen worked on from October 2016-September 2017. After learning that her neighbor was a luchador (wrestler), Amelia made connections with the fighters of the California Lucha Libre Club, where she captured intimate portraits, backstage scenes, and ring photos of that particular underground scene. After approximately three months of photographing, Amelia created her first photo book volume titled "Rudos vs Tecnicos" In November of 2017, "Rudos vs Tecnicos" was cataloged into the Thomas J. Watson Library at the Metropolitan Museum of Art in New York City. The California Lucha Libre wrestler club came to an end in September 2017 that also marked the end of this specific photo essay project. These photos are a sample of hundreds of images Amelia Berumen took and have not been publically viewed. Visions of wrestling captured in paintings, drawings, photography, and apparel illustrate the rich surreal world of Mexican wrestling culture. Where the fight revolves around the theory of triumph and defeat. Where each combat and movement ends in a battle polarized by a duality between good and evil. 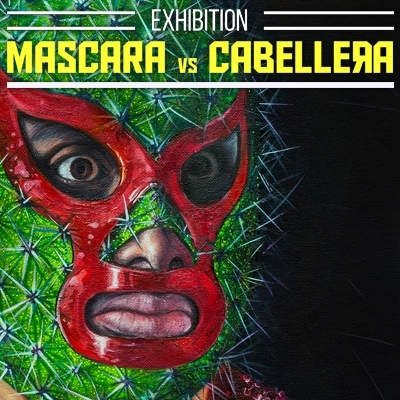 This exhibit focuses on the history of the Mexican wrestling aesthetic, and its importance in popular culture. 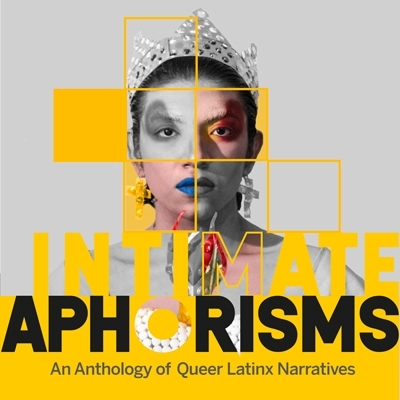 Curated by Orlando de la Garza, "Intimate Aphorisms" presents a journey into the lives of 15 artists and their uninhibited and instinctive expressions of individuality. The exhibition displays an intimate relationship between the artists and their subjects that ranges from identity, family, desire, displacement, faith, and body image. The artists execute their personal work with a distinctive and palpable approach by re-interpreting imagery and symbolisms drawn from (but not limited to) religious iconography, quilting techniques, self-portraiture, and poetry. "Intimate Aphorisms" showcases artists' innate desire to reflect their own truth, on their own terms. A Fundraiser and Art & Revolution exhibit of his family’s struggle for justice, including original embroidered protest artwork by Luis’s widow and daughter from Yucatan. 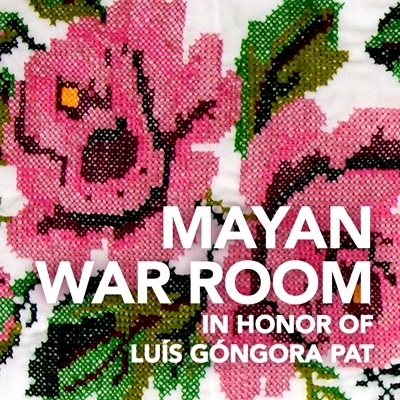 The Mayan War Room will operate as a pop-up office space of www.justice4luis.org during the month of April. Saturday, April 7th marks the 2nd year anniversary of the killing of Luis Góngora Pat by two officers of the San Francisco Police Department. Luis was a Mayan man from Mexico’s Yucatan peninsula, and a migrant worker in San Francisco for fourteen years. Since his homicide, his family has been on a journey to make Luis’s killers and their abettors accountable. To honor his life and family’s struggle, a pop-up Mayan War Room has been set up for this year’s anniversary. The Mayan War Room will keep office hours during the month of April to showcase the wide array of strategies, tactics and actions carried out by the family to demand justice in the past two years. Here we will hold a fundraiser for Luis’s family in Teabo on the 7th, and launch a new campaign, in coalition with other supporters and groups, to pressure D.A. Gascón to “Charge Killer Cops or Resign!” The war room will also display hand-sewn images of Luis by Doña Carmen May Can and Rossana Góngora May, widow and daughter, respectively, and other female relatives of the deceased. The hand embroidered images are intended to speak to the protest posters made by San Francisco artists that also bear Luis’s image. The women of Teabo join the protest from afar with their own artwork rooted in their own artistry and “hilo contado” style for which their village is known. For more information please visit www.justice4luis.org. 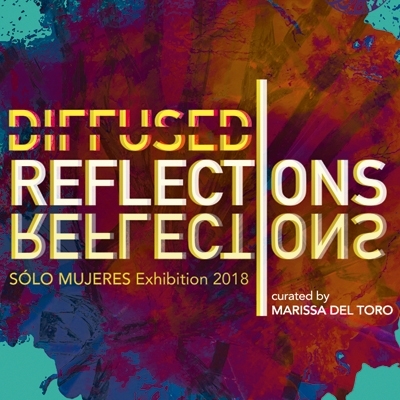 Mission Cultural Center for Latino Arts presents the 31st anniversary of Solo Mujeres, DIFFUSED REFLECTIONS. This powerful exhibition captures and reveals the diffused reflections caused by our rough political and social climate. The fifteen artists included in this exhibition are the light that hits the uneven surface; their art is the reflection we are viewing. Their artworks offer a reflected alternative to the unnoticed and at times invisible narratives that society fails to acknowledge. DIFFUSED REFLECTIONS is a casting of images and representations; it is a moment of consideration and meditation for local, regional, and national artists to reflect and share their individual perspectives and communal narratives. Featured artists include Jessica Alvarenga, Natalia Anciso, Sarah Castillo, Crystal Galindo, Ghazal Ghazi, Ester Hernandez, Sanaz Jamloo, Alex Martinez, Itzel Alejandra Martinez, Breena Nuñez, Alejandra Pérez, Yolanda Reyes, Sasha Silveanu, Maritza Torres, and Danielle Wright. About the curator: Marissa Del Toro is an art historian and curator. Currently, Del Toro is working at the Santa Barbara Museum of Art as the Curatorial Support Group Coordinator. In both her professional and personal life she continues to work towards the promotion and advocacy for diverse narratives within art. Del Toro worked as Curatorial Assistant Intern for the UTSA Art Gallery from 2014 to 2015. She co-curated and contributed to the development, arrangement, installation, and programming of several art gallery exhibitions and projects on a broad range of topics through various mediums. In July 2015, she completed an internship with the Smithsonian Latino Center working on museum collections and exhibitions within the National Museum of American History. From 2016-2017, Del Toro was a Graduate Intern at the Getty Research Institute where she worked on several different projects and event programs such as the large-scale exhibition project, Golden Kingdoms: Luxury and Legacy in the Ancient Americas; part of the Getty Foundation’s Pacific Standard Time: LA/LA initiative.